Co-Founder and CEO of @getswayy, writing contributor at TNW, socialmedia2day and lifehackorg , I talk and write mostly about social media and startup culture. Founder, Agency Evolve. Partner, Influence Technologies. Consultant @ibm. Specialize in Digital Marketing and Analytics. Content strategy, branding, biz dev & social media professional, I love geeking it up, pole acrobatics and working w startups in mobile, advertising & gaming. Chief Advisor @sightec. 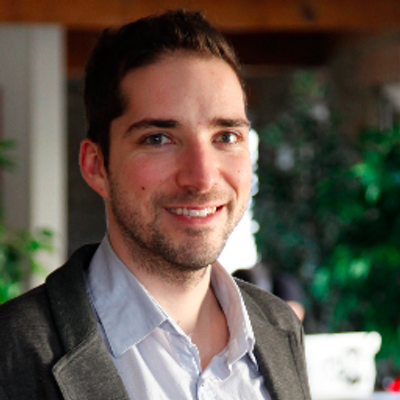 Co-Founded and led @kupoya-acquired-by-actu-cci. Managed R&D at the Tech. Unit of the Intel. Force, @idf. M.Sc @ben-gurion-university 2009. Entrepreneur, consultant, and investor. In that order. Chief Risk Officer at @klarna. Co-founder @signifyd and @Analyzd (acq by @klarna). @paypal New Ventures. Head of Analytics at FraudSciences (acq by @paypal). Consulting startups, blogging @ FoundersGuidebook.com and mentoring at Google Campus TLV, SeedCamp, MassChallenge and others. Senior UX/UI and Brand Designer. Worked with various start-ups and created variety of visual solutions. Founder @cutting-edge-surgical | Strong multidisciplinary background in technology and business | Entrepreneur & Startup Specialist.